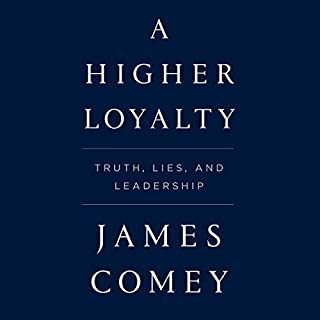 Anyone who absorbs this book and listens to our unspeakable President and is unsure of who to believe is deficient in common sense. Seattle gallery owner Virginia Troy has spent years battling the demons that stem from her childhood time in a cult and the night a fire burned through the compound, killing her mother. And now one of her artists has taken her own life, but not before sending Virginia a last picture: a painting that makes Virginia doubt everything about the so-called suicide - and her own past. Like Virginia, PI Cabot Sutter was one of the children in the cult who survived that fire - and only he can help her now. Not as good as her previous books. Would you listen to Promise Not to Tell again? Why? The second Book in a series involving a deadly cult 20 years later. The book is well written but needed to edit out some of the sub plots. What happened to cult survivors good. Murderous OCD Start up head, twins separated at birth and evil Biker half sister unnecessary. 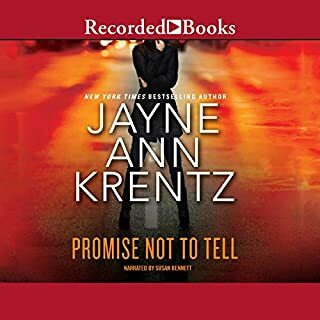 If you’ve listened to books by Jayne Ann Krentz before, how does this one compare? Most Krentz books rate an 8 to 10 score with me . This one is an 8. Which character – as performed by Susan Bennett – was your favorite? A gorgeous, darkly humorous memoir for listeners of Cheryl Strayed about a woman overcoming dramatic loss and finding reinvention, based on this award-winning writer's New Yorker article "Thanksgiving in Mongolia". A strong engaging woman's voice. 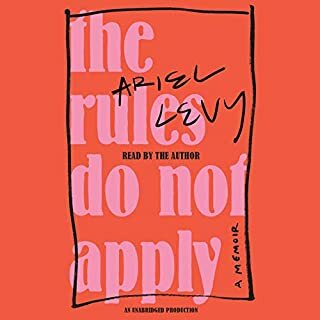 Levy's candor and immediacy make this an engrossing read. If you want your faith in what the human race at its best is capable of imbedded in a cackling good adventure then listen to this book. It is the memoir of a brave, adventurous, daring young woman making her way to freedom. 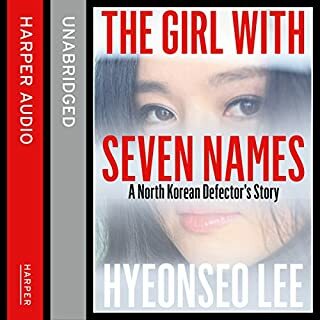 Ms.. Lee does a terrific job not only of describing the danger and hardship of her own adventure but the enormous risks and hardship she endured in engineering the escape of her mother and brother. She also does a very satisfying job of describing the inner turmoil and sense of loss frequently suffered by those adapting to the uncertainties of life in a free society. The prize-winning memoir of one of the world's great writers, about coming of age and finding her voice amid the hardships of Stalinist Russia. Born across the street from the Kremlin in the opulent Metropol Hotel - the setting of the New York Times best-selling novel A Gentleman in Moscow by Amor Towles - Ludmilla Petrushevskaya grew up in a family of Bolshevik intellectuals who were reduced in the wake of the Russian Revolution to waiting in bread lines. What did you love best about The Girl from the Metropol Hotel? Brilliantly written tale of girlhood as the child from a family executed in Stalin's purges. A brief, gripping antidote to the fables portrayed for decades about "Soviet Socialism." 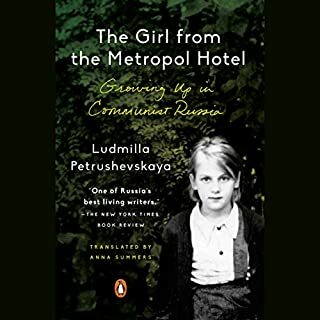 What other book might you compare The Girl from the Metropol Hotel to and why? Nothing is very close. Still Ayaan Hirsi Ali's "Infidel" is another gripping woman's memoir of growing up in a physically and politically perilous situation in distant lands. Ali lived in Somalia, Ethiopia, Saudi Arabia, The Netherlands and now the United States. Growing up as a wild child in Stalin's Soviet Union. Bangalore, present day. A young man's close-knit family is nearly destitute when his uncle founds a successful spice company, changing their fortunes overnight. As they move from a cramped, ant-infested shack to a larger house and try to adjust to a new way of life, allegiances realign; marriages are arranged and begin to falter; and conflict brews ominously in the background. 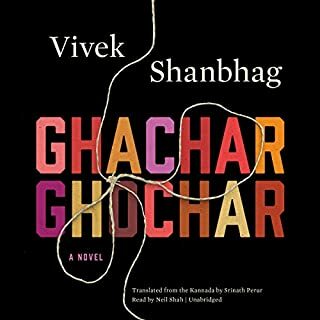 Things become "ghachar ghochar" - a nonsense phrase uttered by one of the characters that comes to mean something tangled beyond repair, a knot that can't be untied. This novella shows what a talented fiction writer can do. The family drama that plays out within this six member South Indian will stick with me for a long time. It's left for the reader to decide whether an actual murder takes place or is purely aspirational. You decide. Being on the murder squad is nothing like Detective Antoinette Conway dreamed it would be. Her partner, Stephen Moran, is the only person who seems glad she's there. The rest of her working life is a stream of thankless cases, vicious pranks, and harassment. Antoinette is savagely tough, but she's getting close to the breaking point. Their new case looks like yet another by-the-numbers lovers' quarrel gone bad. Aislinn Murray is blond, pretty, groomed to a shine, and dead in her catalogue-perfect living room, next to a table set for a romantic dinner. 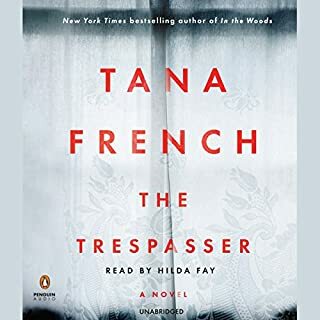 I've been captivated by every one of Ms. French's Dublin base crime dramas. They are all loaded with local color and thick Irish patois that begs to be listened to. Narration is excellent. I'd be hard pressed to name my favorite. But my 3 favorites are this one (The Trespasser), Faithful Place, and The Secret Place. The end of Communism and breakup of the Soviet Union was a time of euphoria around the world, but Russia today is violently anti-American and dangerously nationalistic. So how did we go from the promise of those days to the autocratic police state of Putin's new Russia? 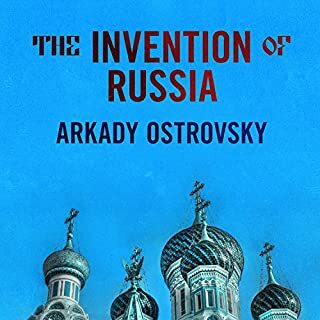 The Invention of Russia reaches back to the darkest days of the Cold War to tell the story of the fight for the soul of a nation. Hard to follow at first, but hang in there, it's worth it! Takes the story from the collapse of the Soviet Union to the consolidation of Putin's authoritarian rule. Special attention is paid to the role of the Russian media. When the Swedish Academy awarded Svetlana Alexievich the Nobel Prize, it cited her for inventing "a new kind of literary genre", describing her work as "a history of emotions - a history of the soul". 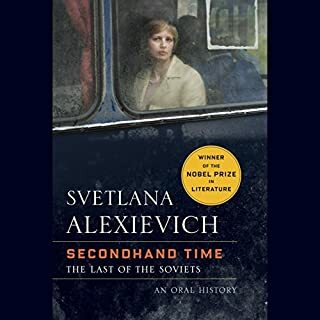 Alexievich's distinctive documentary style, combining extended individual monologues with a collage of voices, records the stories of ordinary women and men who are rarely given the opportunity to speak, whose experiences are often lost in the official histories of the nation. Paints a stunning portrait of the rage, disorientation, ethnic conflict and criminality in post Soviet Russia that make the appeal of a thuggish strong man like Vladimir Putin comprehensible. 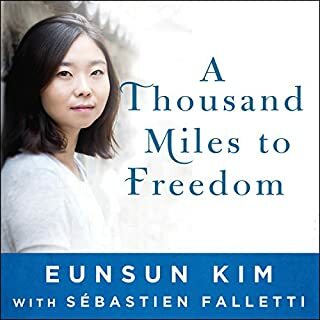 Eunsun Kim was born in North Korea, one of the most secretive and oppressive countries in the modern world. As a child, Eunsun loved her country...despite her school field trips to public executions, daily self-criticism sessions, and the increasing gnaw of hunger as the countrywide famine escalated. By the time she was 11 years old, Eunsun's father and grandparents had died of starvation, and Eunsun too was in danger of starving. Finally her mother decided to escape North Korea with Eunsun and her sister. The one great achievement of horrendous tyrannies is that they produce our most inspiring stories of human courage and triumph against impossible odds. Eunsun Kim's book is a worthy addition to this literature. Read î.